When I was a child, a trip to the NC coast always meant comic books to read in the car, Hershey’s miniature candies, banana sandwiches and powdered mini doughnuts. Several of these traditions have continued through the years. While I’ve given up the comic books but I still can’t go to the beach without having powdered mini doughnuts for breakfast and banana sandwiches for lunch. For some reason, a banana sandwich just taste better at the beach. Shrimps, Eggs and Dips Oh My! Our family beach trip to Emerald Isle always includes at least one meal at Rucker Johns and one meal at Jordan’s Seafood. We also have to have one breakfast at Mikes and one at the Emerald Grill. A vacation would not be complete without at least one butterscotch dip from the Emerald Isle Dairy Queen. It’s amazing how effecient those kids can be at the DQ! If it sounds like a lot of my beach vacation traditions involve food, you’re right!. Maybe that’s why they are called comfort foods. Vacations are all about comfort. Don’t you agree? 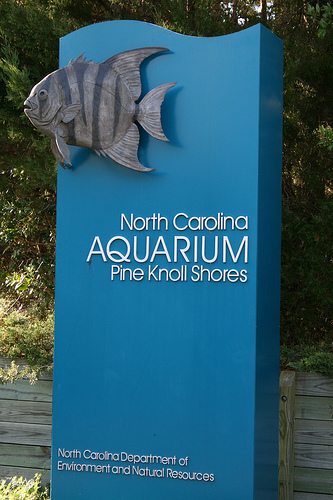 Holding to Precious North Carolina Coastal Landmarks – Our Fishing Piers! Our traditions do include more activities than just eating. 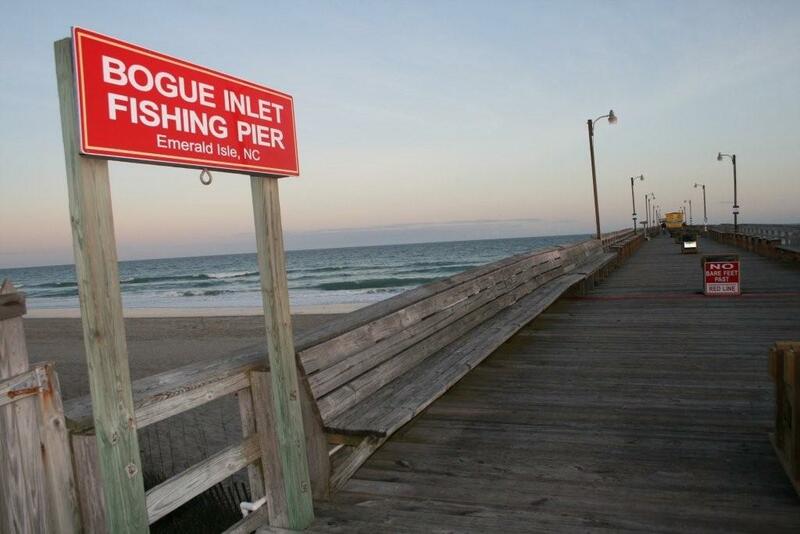 Many sultry summer evenings are spent walking out on the Bogue Inlet Fishing Pier. This is a tradition I hope we can hold on to for many years to come especially now that a number of the piers on the Crystal Coast have been torn down or destroyed by past storms. It’s shame to see them replaced by single-family oceanfront homes and condos. I have my favorite places to shop and visiting them while on vacation is a must. The Crystal Coast has lots of boutiques and gift shops with unique beach themed items. I am an avid reader too and while on vacation, I have to visit The Emerald Isle Books and Toys to select my reading material. Their selection of fiction and non-fictions by local authors is one on the largest I have found. What family or personal traditions do you have when you visit the Crystal Coast?